All you designers and artistic people out there, whether you are a paper crafter, a card maker or an Etsy seller, Font Bundles is the right place for you to get the best fonts and designs you would need for your business. Font bundles have some of the loveliest designs which are created by talented font designers and look absolutely amazing. When you log-in to their site, you are flooded with eye-catching fonts and designs leaving you strictly spoilt for choice. The event itself will take place from November 23rd, 2018 – 30th November and copies will be unlimited for Plus Members ONLY. If you have a normal account, we have 500 copies of each product available for general sale on a first come, first serve basis. Font bundles make these fonts and designs from world-class designers, which are otherwise too expensive, available to you at reduced prices. Do you know that they may give you mind-boggling discounts of up to 95%? Besides this, you also get some of the best fonts like calligraphy fonts, script fonts, and brush fonts and so on. 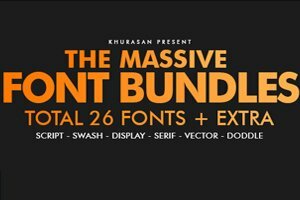 What makes Font Bundles Special? While there are many sites out there with designs and fonts to catch your eye, what makes Font Bundles an ideal choice are the following reasons. You get a wide range of high-quality fonts at a reduced price lower than the market price. File formats like OTF (Open Type Font) and also TTF(True Type Fonts) file formats. Free fonts available from time to time. Where can you use these fonts? It’s all up to your imagination. Whether for professional or personal use, you can use these unbelievable fonts and designs on Christmas cards, wall hangings, framed pictures, embroidery, company branding, logo designs and a lot more. Irrespective of the requirement, you can find fonts for all reasons right here! What types of fonts are available at Font Bundles? Our personal favorite from the Bundle was the Mighty Font Bundle which includes a cool 66 fonts + dingbats from 30 font families. You get a 94% off the retail price and the bundle comes with a personal and commercial use license to save any copyright hassles. The best part is – these fonts work with all software and are easy to install. 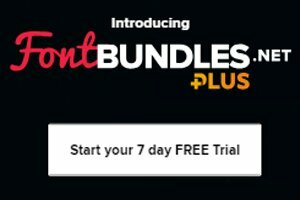 How to Subscribe at Font Bundles? 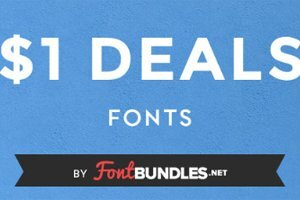 Just log in to your account before the deal starts and top up your store credit before it is launched and quickly check out to get $1 deals on fonts. You can also save an additional 10%, so you end up paying only $0.90 which is great for such fabulous fonts! If you have trouble accessing the fonts just check out their tutorial here! We loved the site for the overall fonts and the amazing discounts on offer. It’s a one-stop-shop for some of the best fonts you can find online and we urge you, creative people, out there to try them.